UPPER WEST SIDE — Parents are worried that the opening of another charter school on the Upper West Side by Eva Moskowitz will add to the overcrowding at existing public buildings in the neighborhood. 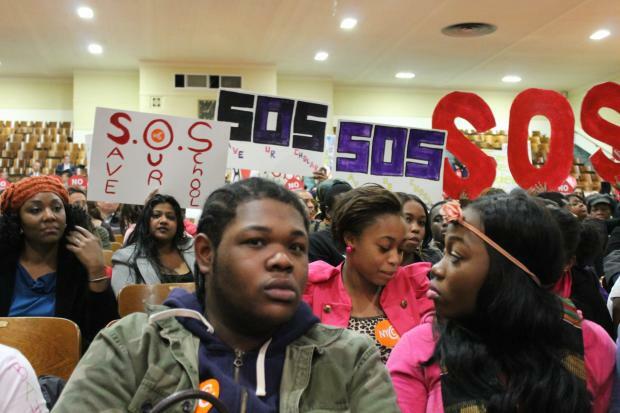 Moskowitz's Success Academy charter school chain is looking to create a new Upper West Side school to open in the fall of 2014, along with five other schools across the city, and representatives said they're seeking input before moving forward with the plan. Although parents and community leaders said they were pleased the charter school approached them for feedback at Community Board 7's February education committee meeting, they said they had major issues with the opening of a new charter school in the district, especially if it planned to share a building with an existing public school. "As a member of CB7 for a long time and somebody who goes to the [Community Education Council] meetings, this is the first time I’ve seen somebody from [Harlem Success Academy] come to a meeting like this. It’s a wild sea change,” said board member Helen Rosenthal. In recent years, neighborhood residents waged a massive, drawn-out battle against Upper West Success Academy moving into the Brandeis Educational Campus and sharing the space for its elementary school with four other high schools. Opponents of the new school said the co-location would drain resources and space from public school students and that charter schools don't pay their fair share for using public school space. Mike Suchanek, parent coordinator for Success Academies, said perceptions of Upper West Success Academy have changed, calling it a "successful model." "The parent community at Upper West is very happy. The demand for the school has been enormous," he said. But committee member Eric Shuffler said that another co-location would not go over well in the district, especially in the face of continued overcrowding, with an influx of 1,600 kids predicted by some by 2015. "As part of your process you should consider the possibility of using one of these parochial schools...You’ll be viewed much better if you’re not seen as cannibalizing a school," said Shuffler, referring to the closure of Holy Name School at the end of the year. Marisa Mack, chairwoman of the committee, said she believed the location of the new school — and whether it would be in a separate building or shared space — was central to any productive discussions. "It’s an incomplete way to come to the community and ask for feedback if you don’t have a location for the school," she said. Community Education Council President for District 3 Christine Annechino voiced a strong opinion against any kind of co-location of the charter school within an existing school building perceived to be underutilized by the DOE. "I want to be on record: Co-locations are some of the worst things that have happened in the school system. No matter how good your school is you are hurting other children [by co-locating]," Annechino said. The committee resolved that Success Academy should not co-locate with another school in the district and instead look to an unused parochial school space to house the new schools. It also resolved that, should a new academy open on the Upper West Side, that it make it a priority to accept District 3 students. The public can post comments at www.successacademies.org/newschools or email them to newschools@successacademies.org.